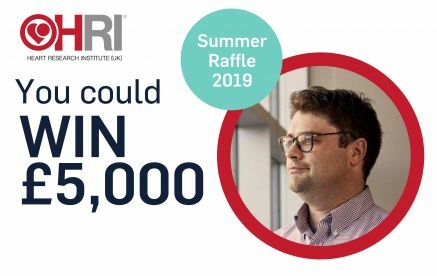 Play our Summer Raffle today and support our life changing research and change your own life too. With summer well underway, you may be dreaming of a break in beachside luxury. You could make that dream a reality by entering our summer raffle. There’s a first prize of £5,000, a second prize of £500 and 100 prizes of £10 just waiting to be won. Your entry into the raffle will provide invaluable support so we can help people suffering with heart disease and related conditions, including diabetes. One person in the UK is diagnosed with diabetes every 2 minutes. People with diabetes have twice the risk of developing cardiovascular disease. Although we all strive to live healthy lifestyles, modern pressures can get in the way. Unbalanced diets, a lack of exercise and factors such as age and genetics increase the risk of getting diabetes. In fact, a person in the UK develops diabetes every two minutes, which makes it the fastest growing chronic condition in the country and can lead to cardiovascular disease. Play our raffle now and protect the lives of people with diabetes. Tickets cost just £1 and it’s easy to enter, simply click on the Play now button below. The closing date is 19 June 2019 and the draw will take place on 21 June 2019. The Heart Research Institute (UK) Charity Registration No is 1116918. The Heart Research Institute (UK) is registered with the Gambling Commission under the Gambling Act 2005, reference 5178. Responsible person: Matthew Evans, c/o Lovewell Blake LLP, Bankside 300, Peachman Way, Broadland Business Park, Norwich NR7 0LB.